New Jersey sports bettors are poised to increase their gaming opportunities. William Hill, one of the top online bookmakers, has partnered with Ocean Resort Casino to create a new sportsbook. The new partnership will be the second sportsbook in New Jersey, following the WH’s affiliation with Monmouth Park. According to a report from the Press of Atlantic City, Ocean Resort Casino plans to open on June 28th, pending approval from regulatory agencies. The casino will feature a 7,500-square-foot sportsbook in the middle of the gaming floor. 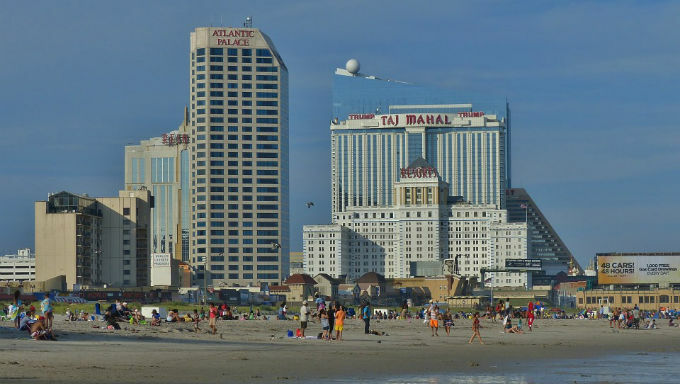 The new Ocean Resort Casinos sportsbook will also join several other Atlantic City casinos. The Borgata, which had already begun preparations for a sportsbook even before the Supreme Court ruling, is set to take bets pending final approval. Meanwhile the new Hard Rock Casino Atlantic City, set to open later this summer, has also announced plans for a sportsbook. These new openings are expected to be the beginning of a new revenue opportunity that is projected to garner billions of dollars in the coming years. Now William Hill will have two locations in New Jersey, with more potential sportsbooks on the horizon. A longtime staple of the European gambling scene, William Hill has been a leader in westward gaming expansion in the U.S. Even before theSupreme Court ruling striking down the federal ban on sports betting, the UK bookmaker has been the most prominent legal sportsbook, particularly in Nevada. William Hill has affiliations with 115 of the Silver State’s 183 sportsbooks. As the company works to expand its recognition across the pond, it’s already one of the most prominent names in British gaming. Founded in 1934, William Hill has grown to employ more than 16,000 people and an operating income of close to £300 million annually. Expansion into the U.S. market could push that even higher. Because of its efforts to bring about legalized sports gambling New Jersey is now the first beneficiary of the new opportunity. The Garden State was behind the legal challenge, known as Christie vs. NCAA, that eventually led to the overturn of the federal sports betting ban. Now New Jersey is on the forefront with several other states to legalize gambling as soon as this year with up to two dozen others expected to follow in the coming years. Before it pursued sports betting, New Jersey was also on the forefront of online gambling. The Garden State has continued to see increases in online gambling revenues, with totals nearing $1 billion in the five years online gaming was legalized. All that comes as Atlantic City, traditionally the leading gaming center on the east coast, is seeing a revitalization with the several new casinos opening. With these new casinos set to become the focal point of expanding gambling opportunities, Atlantic City, and New Jersey as a whole, are set to reap the benefits of gaming expansion.